Claim your FREE 2019 brochure now. See all of our kitchens in fabulous colour to help you embrace some of the lifestyle elements that characterize the best European kitchens at very affordable prices. 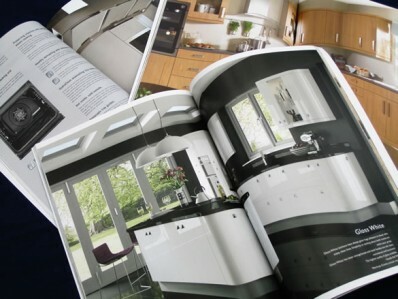 Or brochures show the very best of our luxuriant kitchens. Each page has its own reference number so that you can discuss your options over the phone with one of our designers. As well as example kitchen layouts, the brochures provide our customers with a variety of worktop colourways which compliment perfectly our range of fascias from high tech to modern through to traditional. Copyright © Terms and Conditions | Authorised and Regulated By the Financial Conduct Authority. We are a Credit Broker and not a Lender, We offer Credit Facilities from A Panel of Lenders.